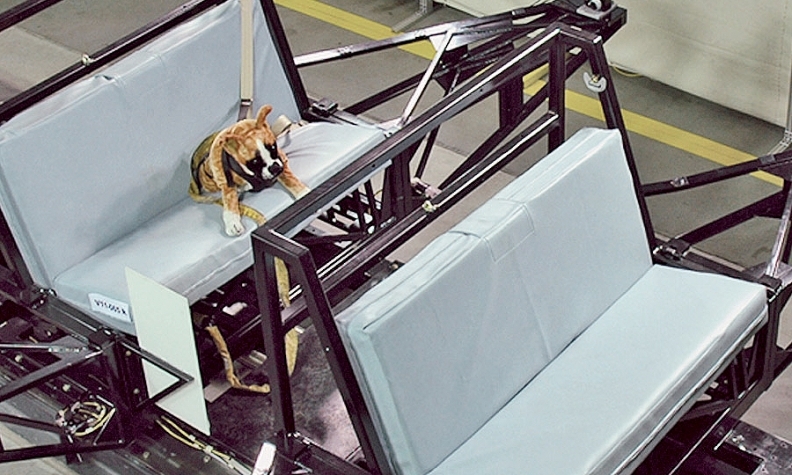 A 55-pound dog dummy awaits a simulated crash test in a 2011 study by the Center for Pet Safety. Subaru is funding the group's research this year. WASHINGTON -- Safety-minded Subaru has a new pet project: crash tests for dogs. This video contains images that may be disturbing to some, viewer discretion is advised.